Includes 2019 model year updates. Price same as 2018 model. Suzuki Motorcycle India Pvt. Ltd., has now introduced the 2019 V-Strom 650XT adventure tourer upgrade. The refreshed Suzuki V-Strom 650XT ABS wears new graphics, and features hazard lights and side reflectors. These are the only changes pressed into effect in the new avatar. Suzuki V-Strom 650XT ABS is adept when it comes to daily commute, highway rides, and off the grid explorations. Colour schemes on offer are Champion Yellow No.2 and Pearl Glacier White. 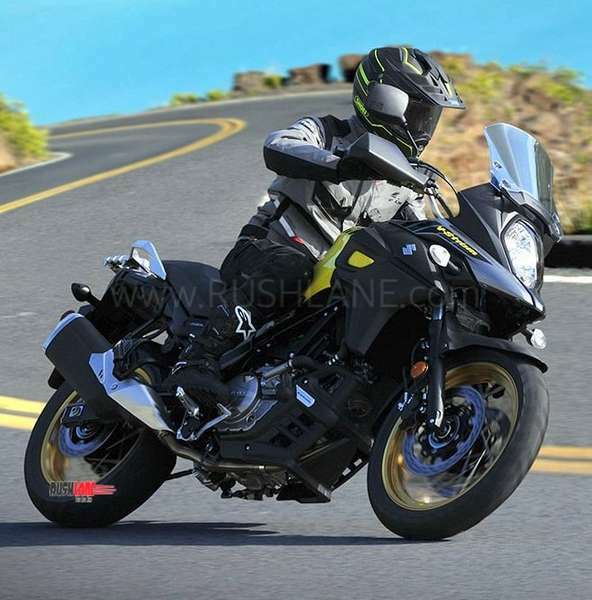 In its latest avatar, 2019 Suzuki V-Strom 650XT is available at a price of Rs 7,46,000 (ex-sh, New Delhi). That means, pricing remains unchanged. With big body dynamics and design influenced by V-Strom 1000, 2019 Suzuki V-Strom 650XT ABS gets power from a four stroke, liquid-cooled, DOHC with 645cm3 displacement, 90° V-twin engine. A power package well suited for those seeking a middleweight adventure bike. The engine returns max power of 71 bhp at 8800 rpm and torque of 62 Nm at 6500 rpm, mated to a six-speed gearbox. Fuel-injection (FI) technology makes for improved performance. The lightweight Anti-lock Brake System (ABS) offers controlled grip and braking performance in varied conditions. A 20L fuel tank ensures a 400+ km road trip. With three-mode (switchable) traction control system (2 Mode + OFF Mode), 2019 Suzuki V-Strom 650XT ABS is designed for optimised engine control even in difficult road conditions and is effective in thwarting rear wheel spin. 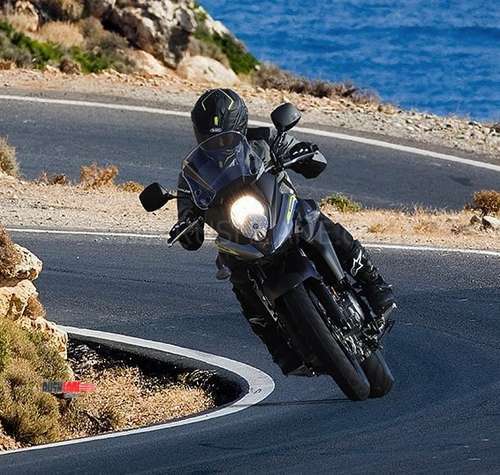 In all, the bike’s capability and control encourages riding confidence, and takes on Kawasaki Versys 650, to be launched in India Benelli TRK 502, and the recently launched SWM SuperDual T.